The event was beautifully decorated and designed (I mean, that’s an understatement, but the only thing I can come up with at the moment) by Michelle Moultrie-Summers with Your Signature Designs. Everything was absolutely gorgeous and the shower guests smiled with delight as they walked into the venue. 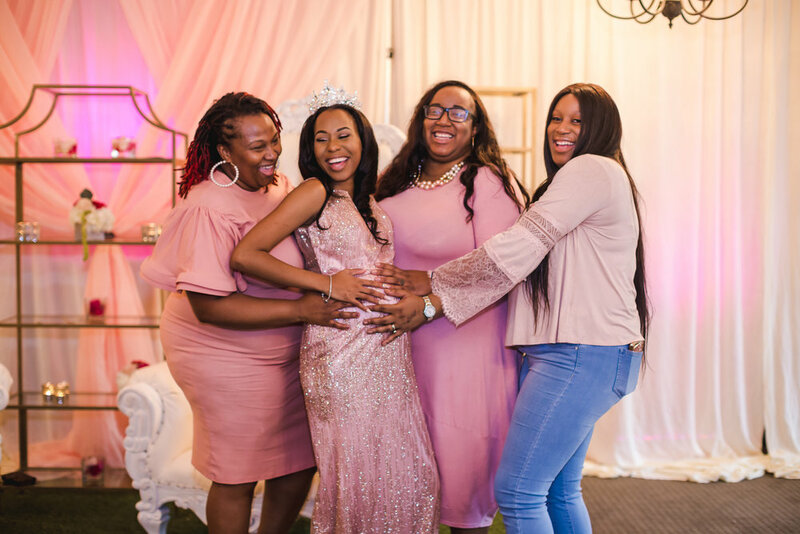 The expectant Mom and Dad were so excited at the impending arrival of their little one, and laughed, chatted, and played games with their guests during the baby shower. There were even a few heartfelt tears shed at an emotional moment during the event. The food that was served was wonderful, and I think it’s safe to say that everyone truly had a wonderful time. All in all, this baby shower was definitely one to remember. Now that’s a baby shower! If you are planning a special event and would like a professional photographer, I’d love to chat with you. I also offer special discounts on event pricing when bundled with a corresponding portrait session.